“Overwatch needs a higher server tick rate!” Sound familiar? Overwatch game director Jeff Kaplan has addressed one of the most common complaints about Blizzard’s competitive shooter: that the server tick rate isn’t high enough. You’re probably not going to be overjoyed by his response, since the first thing he said was that there’s a “general misunderstanding” of the issue. “The server does tick at 60Hz, it’s the client update rate that is lower,” he told Eurogamer. Kaplan said the speed of some of Overwatch’s more unusual abilities and the particular style of its kill cam give players the impression that they were taken out unfairly, but in most cases if they did go down for a reason other than being outplayed, the problem is good old latency. That said, Blizzard is trying to improve the situation, and Kaplan encouraged disgruntled players to watch a 17 minute video on the topic of Overwatch’s netcode if they have an interest in helping, because it will put them in a position to “comment intelligently on what is and isn’t a problem”. Kaplan went on to say that Blizzard added a 60Hz client update rate to Overwatch some time ago, but unfortunately nobody is using it – so the developer doesn’t have enough data to roll it out. 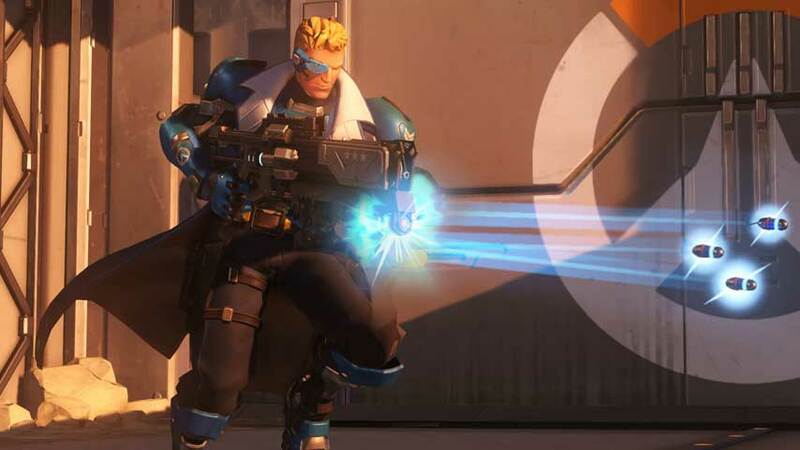 “They’re demanding it, it’s in the game and playable, and right now we’re seeing about 0.08 per cent of all matches that take place in Overwatch are actually using the feature,” he said. Overwatch would become unusuable for about 20% of its current player base if the 60Hz mode were rolled out as standard, he explained. “This is something that you care about and you want to see more of: well, please use more of the feature that’s in the game. Give us feedback, so we can iron out all of the kinks with it and if things are looking good, we can absolutely add it to other parts of the game,” he added. To help test this feature out, select the “high bandwidth” option when creating a custom game. Suffering from lag or netcode issues? To be absolutely sure you’re not just getting whacked with something you didn’t know existed, consult our Overwatch guide.